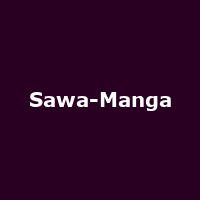 "Sawa-Manga is an exploration of musical landscapes, of deep sea diving into liminal places for story telling. It is sway, funk, blue flame. It is Kenya-South Africa-Philippines-Norway-London-Earth Magma-Solar System. It is multiple histories, expanding sense of self, and the future. It is the joined forces of D'Vo and And Is Phi."